Fully occupied, income producing property; includes 3,682 SF of retail space on the first floor (Hair of the Pride Hair Salon & Renee Austin Wedding Boutique) and a fully rented 2,239 square foot apartment. 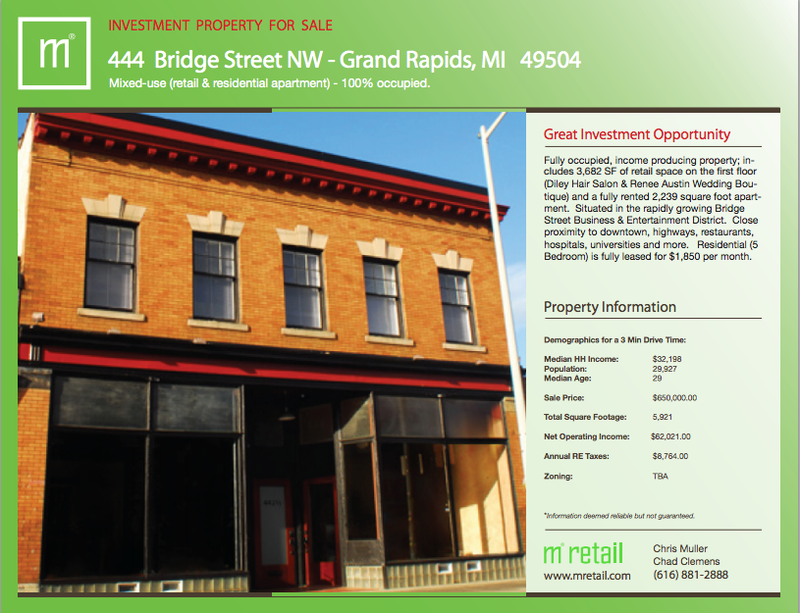 Situated in the rapidly growing Bridge Street Business & Entertainment District. Close proximity to downtown, highways, restaurants, hospitals, universities and more. Residential (5 Bedroom) is fully leased for $1,850 per month.